1. Flood Waters in Downtown Wheeling, W. Va. 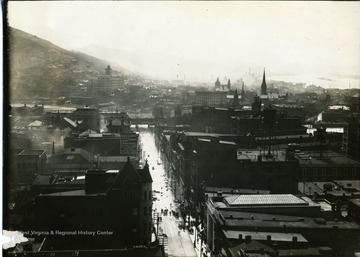 Flood Waters in Downtown Wheeling, W. Va.
People are walking down an unidentified street in Wheeling, West Virginia, after a flood, possibly of 1913. 2. 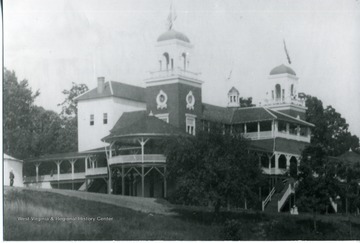 Casino at Terrapin Park, Parkersburg, W. Va.
Casino at Terrapin Park, Parkersburg, W. Va. 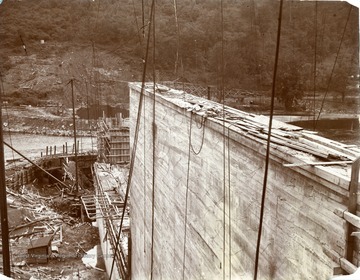 Probably construction of the Cheat Lake Hydro-Electric dam in Monongalia County. 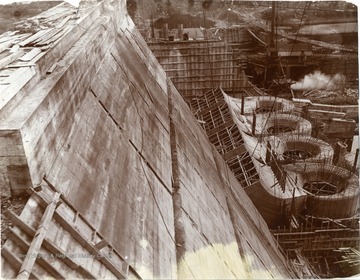 Probably the construction site of the Cheat Lake Dam in Monongalia County. 5. Flood, Wheeling, W. Va. Flood waters seen in this neighborhood of Wheeling, W. Va. Water runs above the porches of some of the houses. 6. Post Office, Wheeling, W. Va.
Post Office, Wheeling, W. Va.
7. 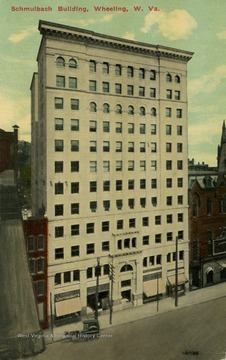 Schmulbach Building in Wheeling, W. Va.
Schmulbach Building in Wheeling, W. Va.
8. 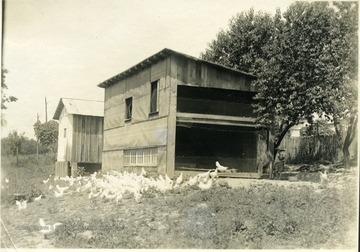 C. D. Rice's Poultry House, Jackson County, W. Va.
C. D. Rice's Poultry House, Jackson County, W. Va.
9. John Zachariah Ellison's House in Dunlap, Monroe County, W. Va.
John Zachariah Ellison's House in Dunlap, Monroe County, W. Va. 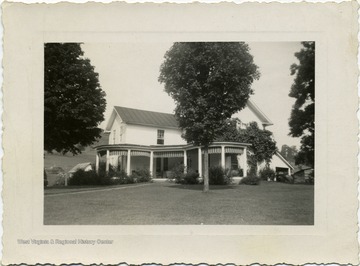 Located on Hans Creek, photo was taken after house was remodeled. 10. 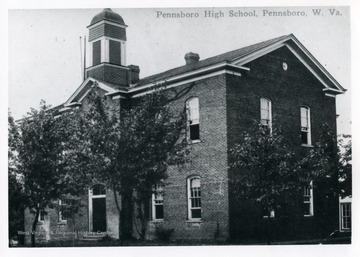 Pennsboro High School, Pennsboro, Ritchie County, W. Va.
Pennsboro High School, Pennsboro, Ritchie County, W. Va.
11. 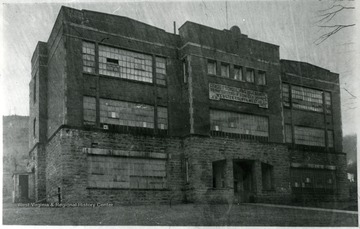 Webster Springs High School, Webster County, W. Va.
Webster Springs High School, Webster County, W. Va.
12. 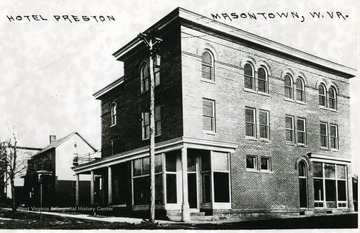 Hotel Preston, Masontown, Preston County, W. Va.
Hotel Preston, Masontown, Preston County, W. Va.